U.S. veterans who fought in the Persian Gulf War of 1990-91 appear to be at an increased risk for amyotrophic lateral sclerosis (ALS), according to report from the Institute of Medicine (IOM) of the National Academies of Sciences, Engineering, and Medicine. 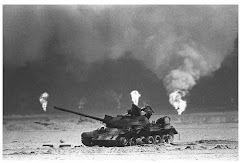 The U.S. Department of Veterans Affairs had requested the review, evaluating and summarizing all available scientific and medical literature regarding health effects in military veterans of the first Gulf War. The department requested that special attention be given to neurological disorders, cancer, and Gulf War illness. The new report confirmed findings in the IOM report of 2010 that ALS is more frequent in Gulf War veterans than in the general U.S. population. 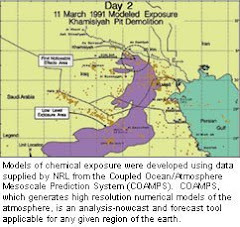 Although researchers are still in the dark about potential causes of this link, a recent study suggested that both ALS and Gulf War illness might be linked to toxic exposures during deployment. Veterans also appear to have an increased risk for Gulf War illness, chronic fatigue syndrome, functional gastrointestinal conditions, and mental health disorders such as post-traumatic stress disorder, generalized anxiety disorder, depression, and substance abuse, the recent IOM report said. These findings likewise supported the conclusions of the 2010 report. Reports of increased rates of ALS in Gulf War veterans started emerging in the 2000s, and other research into veterans also reported that the association may be valid for those who fought in other wars as well. In the new report, ALS was the only neurologic disease found to be associated with deployment to the Gulf War. The committee, however, stated that Gulf War veterans are still a young population and that other service-related neurodegenerative diseases might not become obvious until they are older. The committee recommended that the Department of Veterans Affairs continue to assess Gulf War veterans for neurodegenerative diseases. A particular focus should be placed on age-related neurodegenerative diseases that might take years before becoming clinically evident. They specifically mentioned ALS, Alzheimer’s disease, and Parkinson’s disease as targets for follow-up evaluations. “Taking into account the findings from this and previous IOM Gulf War and Health reports, the committee concluded that the health conditions associated with Gulf War deployment are primarily mental health disorders and functional medical disorders, and that these associations emphasize the interconnectedness of the brain and body,” The National Academy of Sciences wrote in a press release.